What Are Free Colored Contact Lens Samples? Colored contact lenses are basically contact lenses with color. 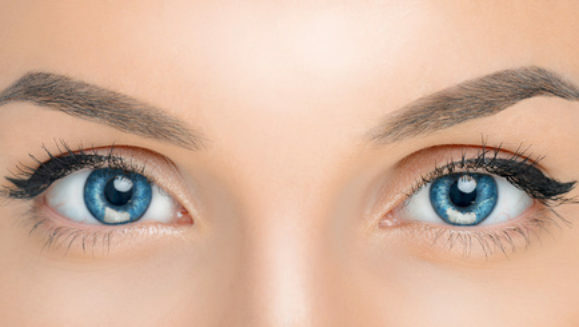 The purpose of buying colored contact lenses is to have a change of eye color. 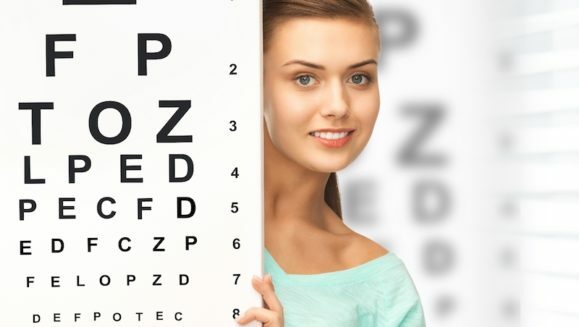 They are usually paper thin and they don’t irritate you eyes because your eyes are used to your eyelids. Contact lens manufacturers add color to the iris part of the lens, but the center, which is similar to the pupil of the human eye, remains clear. The center remains uncolored so that people can see through the contact lenses. To mimic the human eye, manufacturers add details such as lines and dots to mimic the human iris. What Kinds of Colored Contact Lenses Are There? Visibility tinted contact lenses usually comes in light colors such as light green or light blue. The colors serves as a visual aide. The color in the lens allows consumers to see the lenses when putting and removing lenses from the eye, but it doesn’t change the color. Enhancement tinted lenses are a combination of visibility tint and opaque tint. It is a lightly colored, transparent contact lenses that adds a little hue to the natural eye color. This type of contact lens can benefit those who have light colored eyes and want to enhance the color. It basically intensifies one’s natural eye color. The most popular colored contact lenses fall under opaque tint. This type completely changes the eye color. People who have worn colored contact lenses but didn’t see any eye color change were not wearing opaque tinted contact lenses. Opaque tinted lenses can even disguise dark eye colors. If you have darker colored eyes and want to go with a lighter color, this is the kind you need to get. 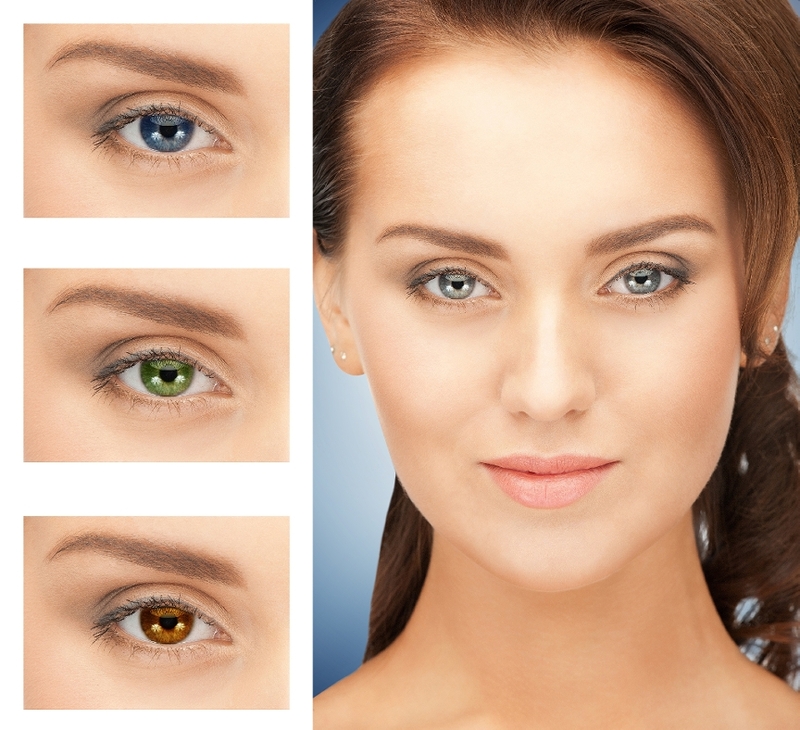 Opaque tinted contact lenses come in an array of hues such as purple, hazel, green and gray. Who Can Wear Colored Contacts? Colored contact lenses can be worn by anyone. Most people wear colored eye lenses for fashion reasons. Many models that do photo shoots for magazines. Actors and actresses wear opaque tinted lenses, too. The opaque tinted type of contacts allow them to have unusual eye colors such as in Avatar. If you are planning on purchasing a pair of colored contact lenses, you want to find a good match. Also purchasing colored contact lenses could be a trial and error. If it happens that you’ve purchased a pair of lenses that didn’t suit you, it would be a waste of money. To save money on contact lenses, it would be best to get free colored contact samples so you can first try them. You can get free sample colored contacts in the mail where you don’t pay any shipping. Quite of few manufacturers are willing to give consumers free samples of their contacts so they can try them. This is advantageous for both you, the consumer, and the manufacturer. If you, as the consumer, is pleased, the manufacturer will benefit from a regular purchase from the consumer. 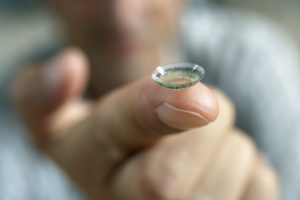 on the consumer’s end, they can try out colored contacts without spending money, and if the consumer doesn’t like the contact lenses no money would be lost. To try free colored contacts samples with free shipping go over to our free contact lenses page to find out more. I would love to receive a free pair of your color contact lenses. I would love a pair of your blue contacts please. Great! Just do what we explain in this article. Enjoy! I would like a pair of green ones please. Just remember that asking for colored contacts here in the comments won’t get any delivered to you. Please just follow the instructions in the article above and then comment here when you get them from the lens manufacturer (that’s not us) and tell us how they look. Geez people can’t read or follow simple fking directions…. so annoying. Dumb asses.